WAIST HIGH: Comic Relief. Literally. 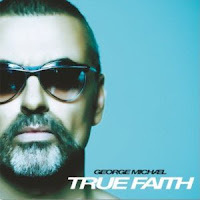 Pop on over to friend of the Waist High program Slicing Up Eyeballs to hear what George Michael has done to New Order's "True Faith," a song he recorded to raise money for Comic Relief. Waist High has "no comment," but Slicing says, "...we can actually hear the Auto-Tuned bastardization that the ex-Wham! singer has churned out. For some, er, true comic relief..."